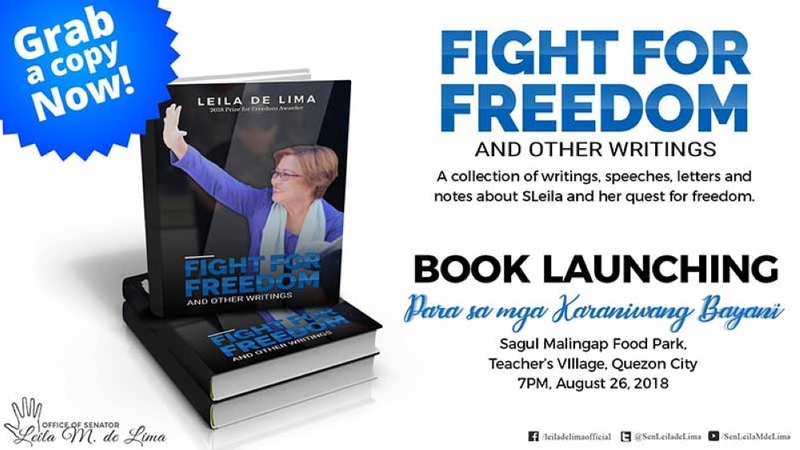 ON THE eve of her 59th birthday on August 27, detained Senator Leila de Lima will launch on Sunday, August 26, her second book about her plights amid the drug-related charges lodged against her. De Lima, in a statement on Saturday, August 25, said her new book was dedicated to Filipinos who believe in her innocence, despite her “unjust” detention because of the “trumped-up” charges hurled against her. The senator's book, titled “Fight for Freedom and Other Writings,” includes writings, speeches, letters and notes about her quest for freedom, which were penned by prominent personalities like Vice President Leni Robredo. “To my oppressors, jailing me despite my innocence is your burden to keep. To the Filipino people: No matter the persecution, I will never stop fighting,” she said in the book’s dedication page. “[This book] is dedicated to family, friends, and supporters who cry out for my freedom,” De Lima added. De Lima's second book has five parts: From My Desk, Freedom Fighters, Standing by My Innocence, Voices of Hope, and Truth be Told. “As it stands, this collection sends a clear message: If injustice could be done to Leila, a sitting senator, injustice could be done to anyone. One therefore is challenged to make a personal inquiry: What could I do; and if I have done something, is it enough?” Aquino said. The first time De Lima published her book was on February 24, 2018 to commemorate her first year in detention. De Lima's first book, which was entitled “Dispatches from Crame I,” is a collection of her select handwritten statements about issues of personal, governance, and social justice since her arrest on February 24, 2017. 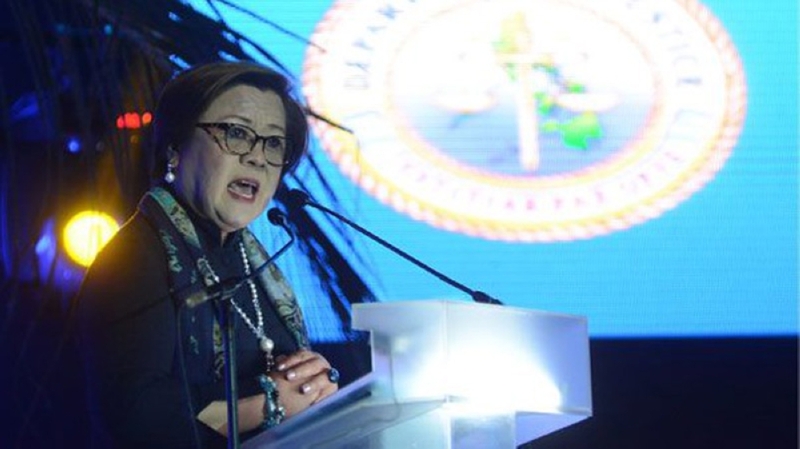 At present, De Lima is detained at the Philippine National Police Custodial Center in Camp Crame, Quezon City for three counts of drug charges filed against her before separate courts in Muntinlupa City.